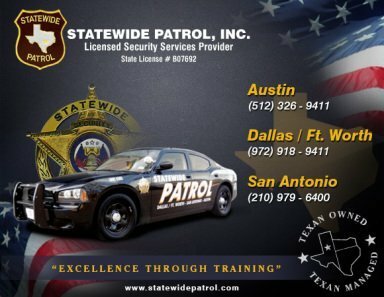 Statewide Patrol will provide any number of well-trained uniformed security officers necessary for the protection of your property. This is not the typical security truck drive through. Patrols may be random or scheduled for a specific time. The number of visits. Available for various private and public functions and/or just personal protection, our Personal Protection Officers (PPOs) can provide a wide. Accident, fire, weather or other emergencies can cause a client’s residence or business to require temporary on-site security. Form NOT Intended for Employment Inquires!